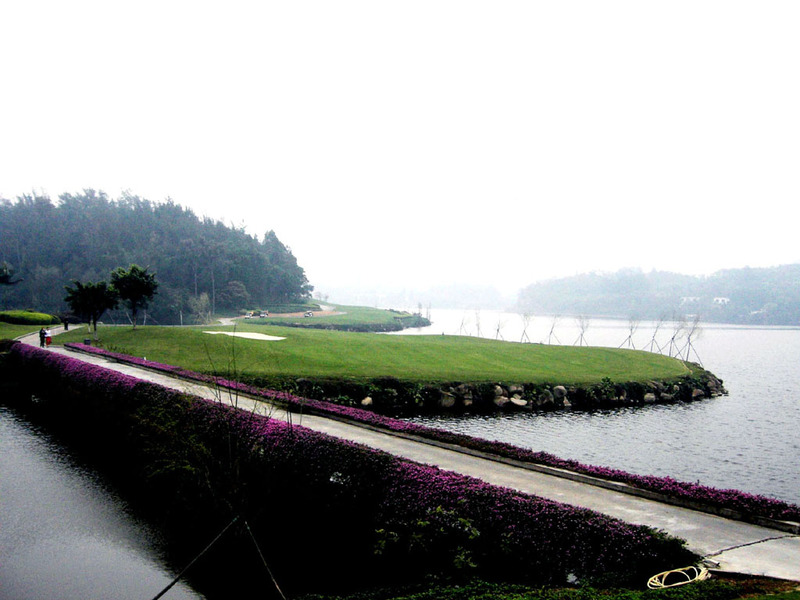 The course is at the foot of a mountain and beside a big lake. Greens are relatively small which is unusual because Nicklaus commonly designed big and wavy greens. 6 holes have 2 greens each, short and long. 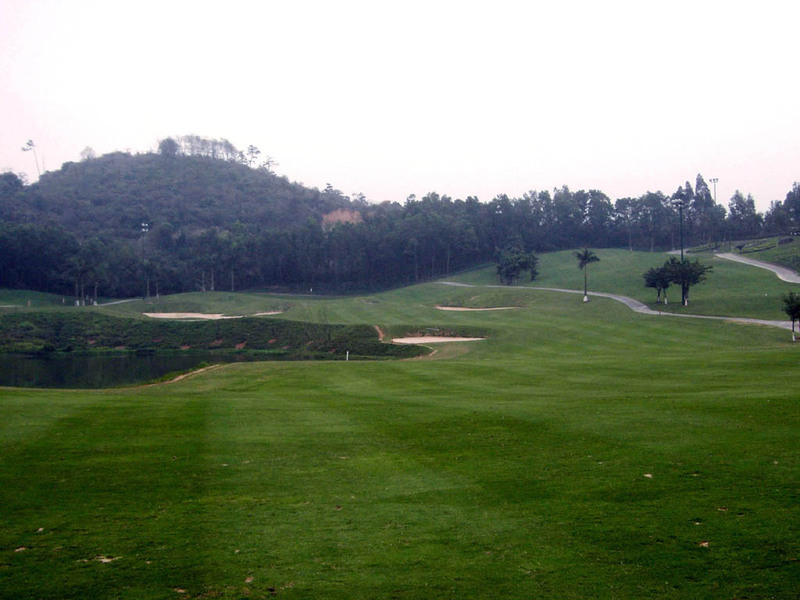 Though all par 5s have good layouts, they are relatively easy. The front 9 is very fun to play while the back 9 is not that interesting. A Par 5 reachable in 2. A 200-yard carry off the tee is needed to clear the lake. The left side of the fairway and the green face the lake. 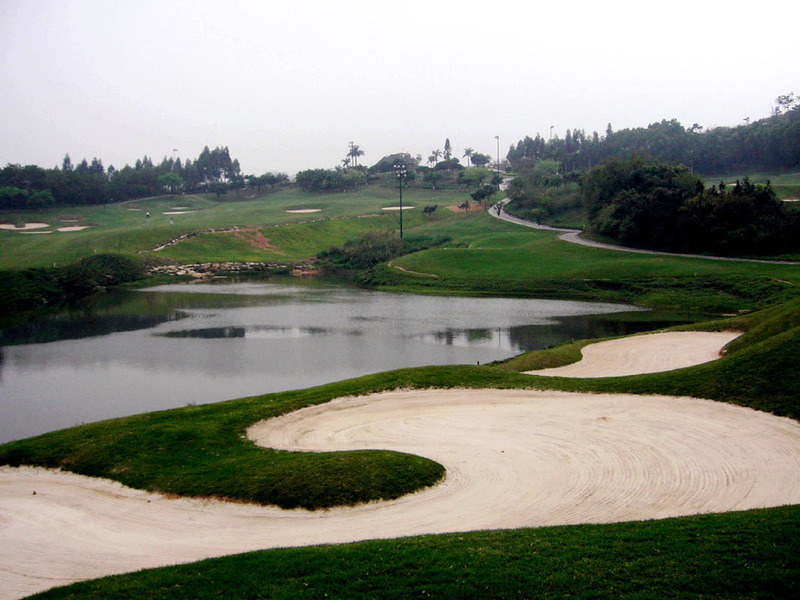 If you decide to lay up, the second shot is demanding because the landing area is squeezed by the lake and the bunkers. A straight and demanding hole. 2 inlets need to be negotiated on your way from tee to green. 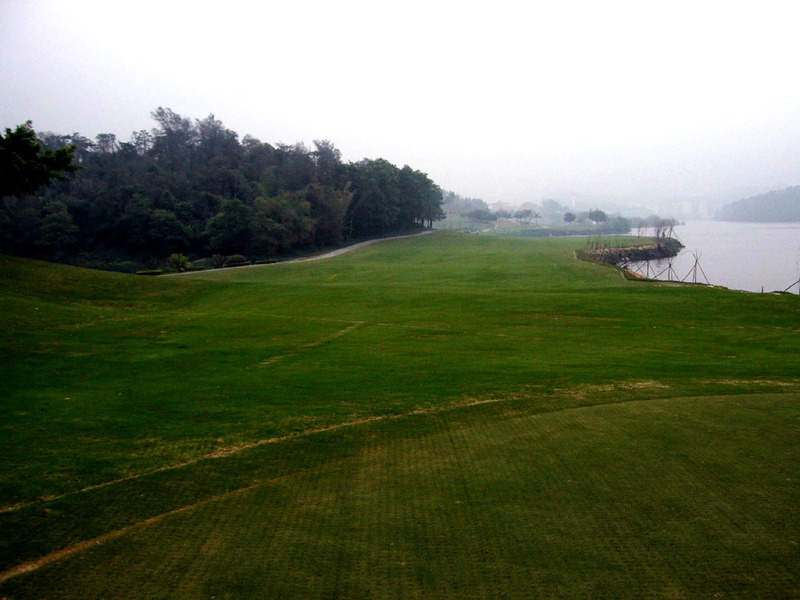 You hit the tee shot to an island fairway almost surrounded by water. The green is tremendously long more than 50 yards, divided into 2 greens. I played the shorter green this time. 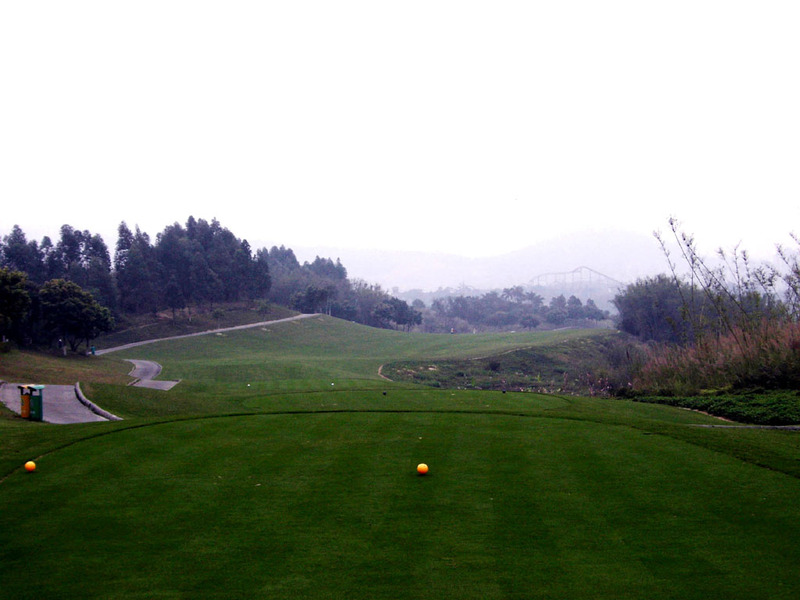 The longer green increases the distance from 401 to 421 yards. 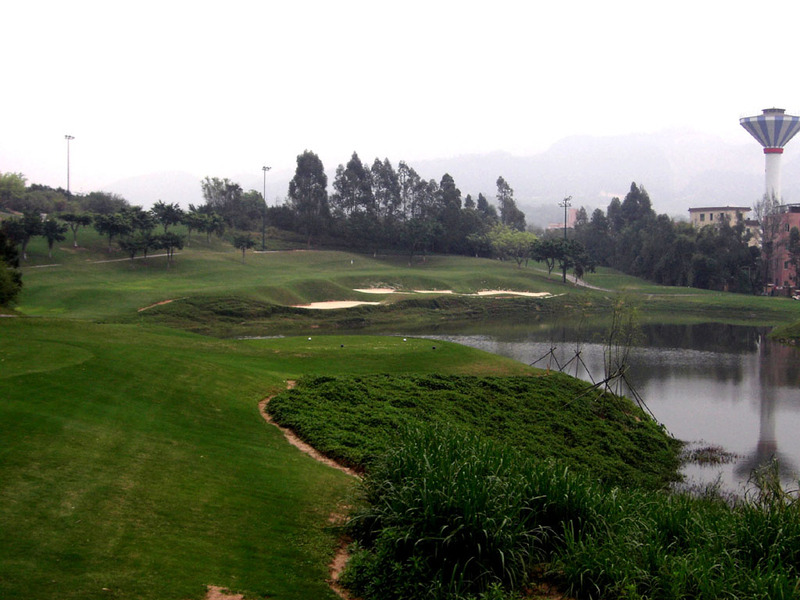 A gentle down slope, slight dogleg to the right with water and bushes on the right. You hit the second shot from a downhill lie, which is demanding. 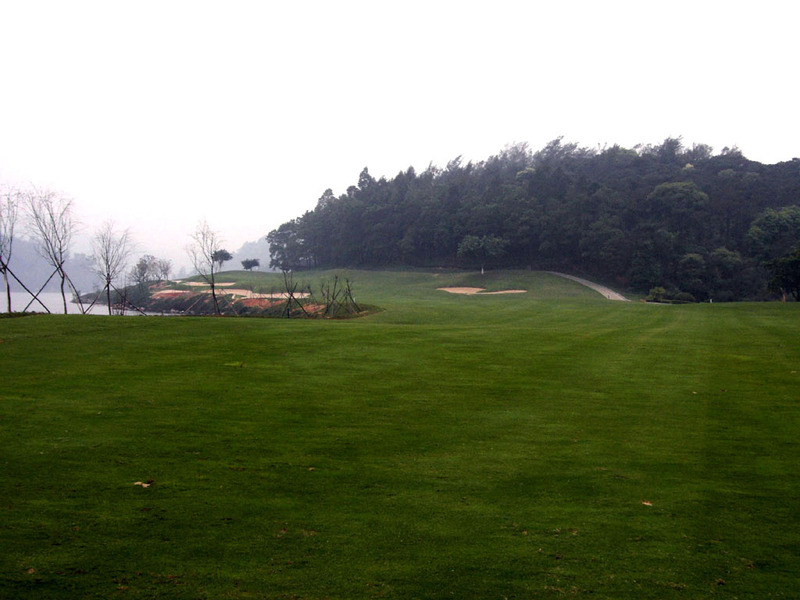 The undulating green is guarded by bunkers and water on the right. 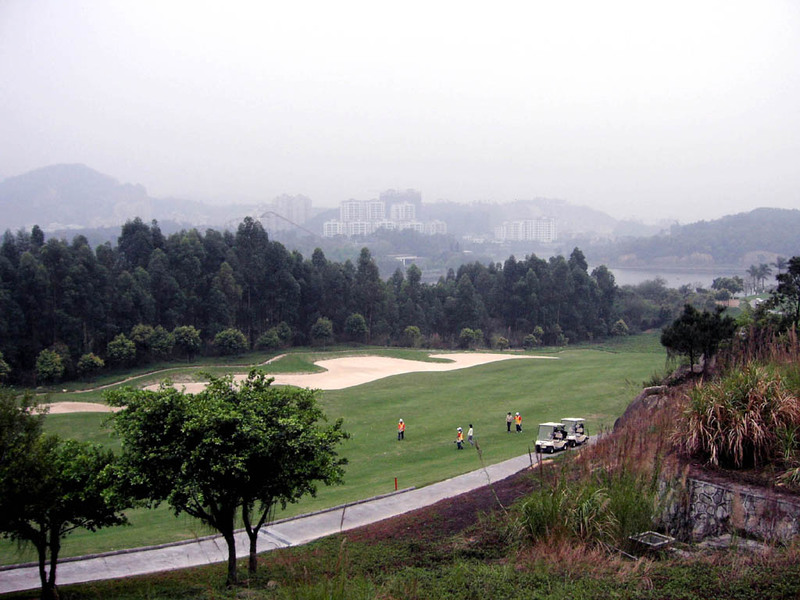 The green and its surrounding area seen from the second shot are scenic. An almost straight hole. 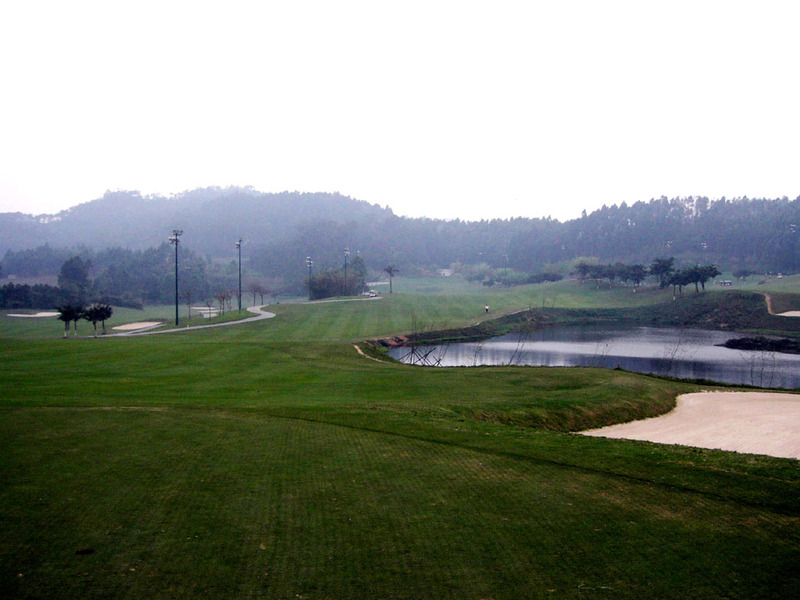 A lake facing the left side of the fairway comes into play on the second shot. The green is guarded by bunkers. 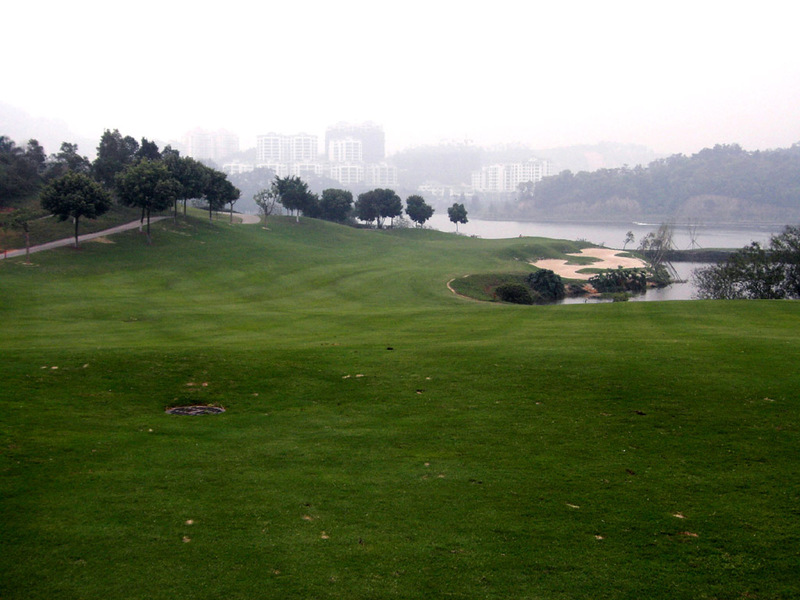 An “S” shaped hole with a dogleg to the left around a lake followed by a sight dogleg to the right. 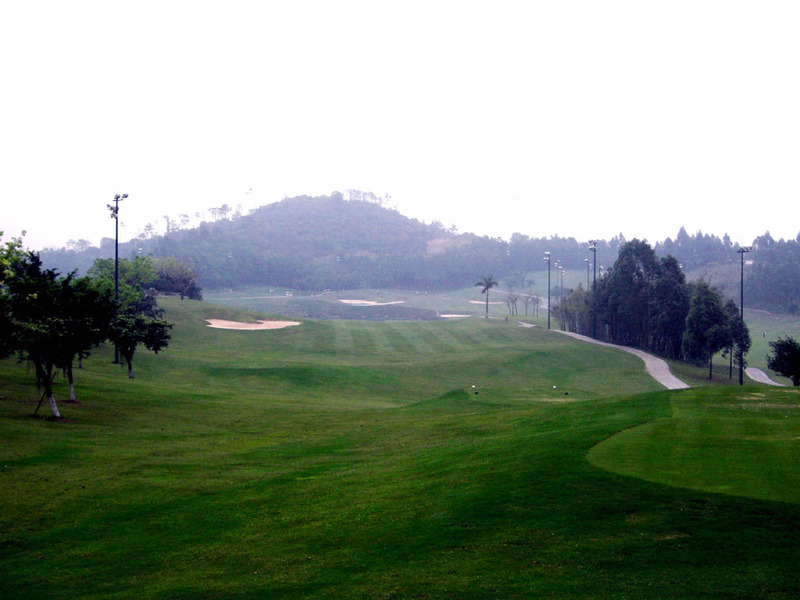 The second shot is downhill, so this very short par 5 can be reached in 2. 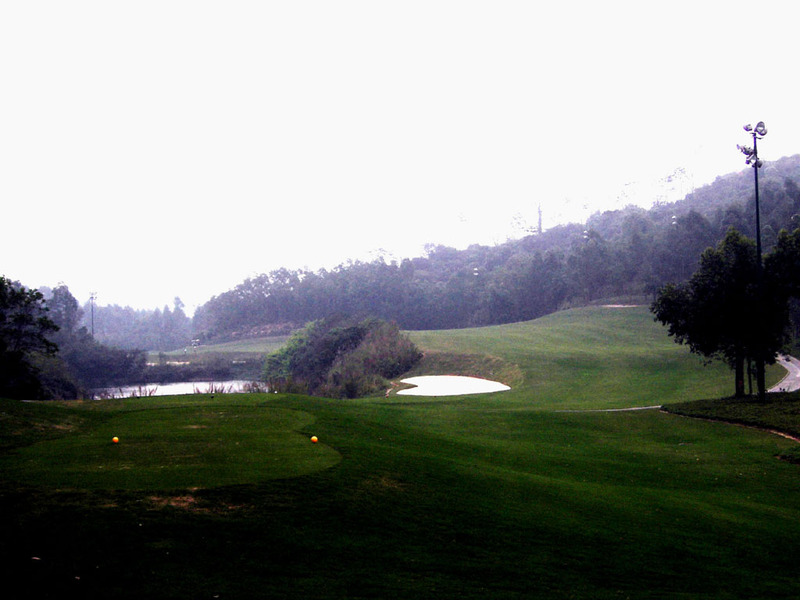 I think that it should be changed into a challenging par 4, and then the hole’s impression would become more memorable. A challenging par 3 over a lake. You should hit long rather than short because the bunkers guarding the front of the green are quite deep. 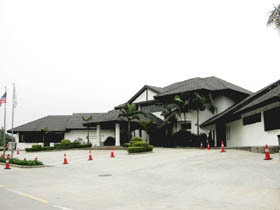 It takes 30 minutes from Guangzhou by car. I stayed at Yihe Hotel, a 5-minute drive from the course by car, and played the following day. 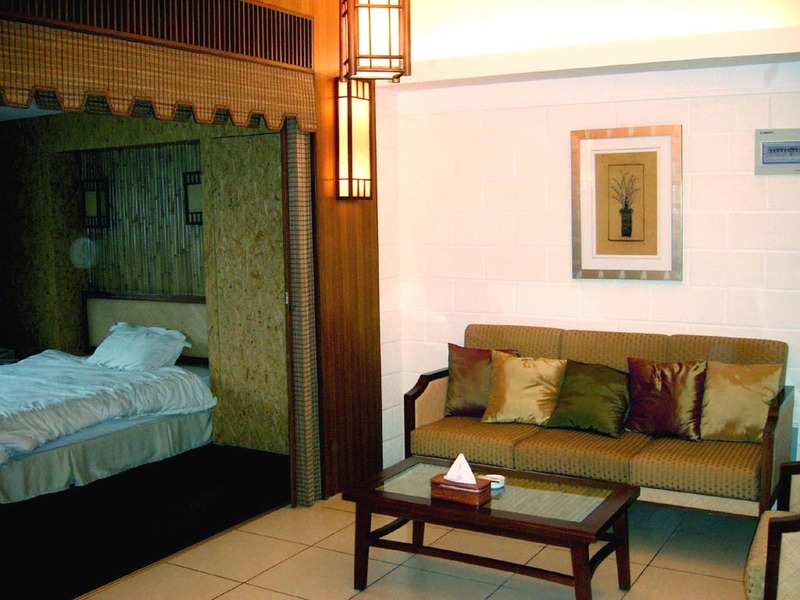 The hotel was excellent. 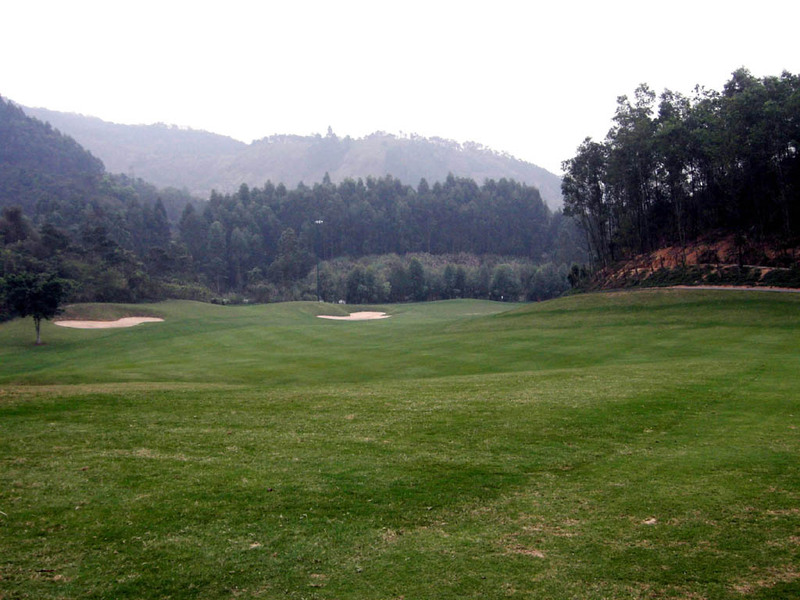 The other Jack Nicklaus designed courses in China are Chung Shan Hot Spring (中山温泉) GC – Jack Nicklaus Course, Pine Valley International (華彬国際) GC, Shanghai Links (上海林克司) G&CC, Hangzhou West Lake International (杭州西湖国際) G&CC, Spring City (春城) Ｇ＆ＬＲ - Mountain Course, Suzhou Sunrise (蘇州中興) GC, Mission Hill (觀蘭湖)GC – World Cup Course, Palm Island (恵陽棕櫚島) GC, Wuyi Fountain Palm (江門五邑蒲蔡) GC.